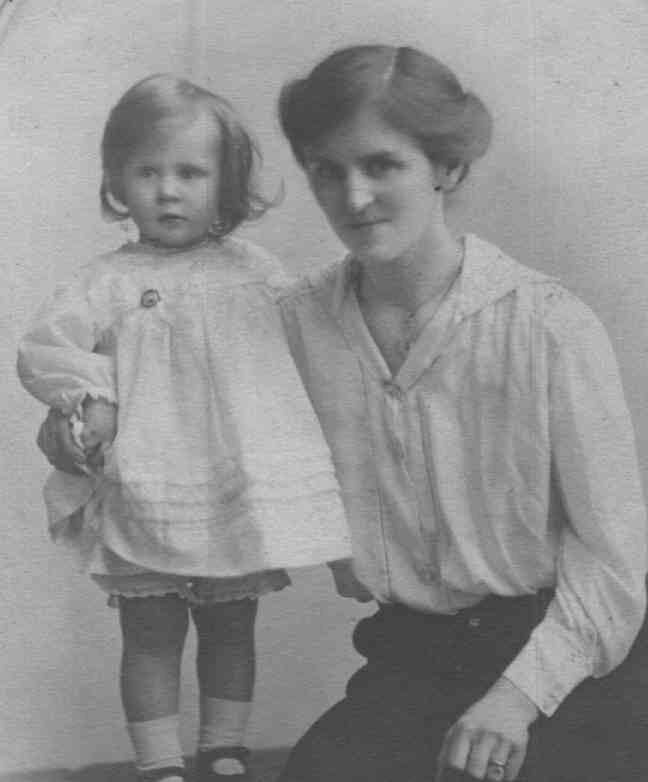 Lilian "Queenie" Macgregor Yorke (pictured with her daughter Margaret) was born in the 1886 at Manchester. Her father was William York, who was a surgeon, probably at the hospital in Manchester. Her Mother was Blanche Lilian Jones, a singer from Liverpool. She was the first child and in 1891 a younger sister; Winifred and in 1897 a brother; William, were born. The family moved to 14 Leicester Road, Loughborough, Leicestershire, where Winifred was born and then to Vaughan Street, Coalville, Leicestershire before William was born. 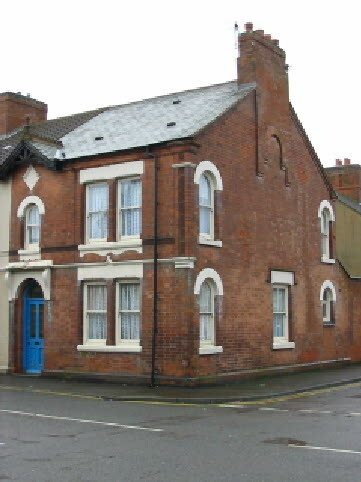 Around 1897 they were at Shilton House, Gutteridge Street, Coalville, Leicestershire. This photo shows Shilton House as it is now. It was then a new house; being built in 1897. She was specifically excluded for any benefit from the will of Peter Macgregor, who died in 1901. Other grandchildren of James & Annie Yorke were beneficiaries of that will. Whilst in Leicestershire Queenie played centre-forward for the Leicester County Ladies’ Hockey Team. She was also an excellent cricketer. By 1908 the family were living at 14 The Hollow, Earl Shilton, Hinckley, Leicestershire. But on the 8th of June of that year William died, aged only 46 years, of Pulmonary Tuberculosis after 2 years and 8 months of sickness. After William died, Blanche moved to The Bungalow, Cliftonville, Margate. She did not stay there long as on the 28th April 1909 she married Hector Kenneth Macdonald. Lilian described herself as "Queenie" in the marriage certificate, this was the name that everyone knew her as. Queenie entered St Mary's Hospital, Paddington, London, on April 26th 1909 and left June 19th 1912; during this time she would have lived at the hospital. She spent these three years under the iron fist of the Matron, Miss E. M. Davies. Matron Davies was very critical of all her charges; including Queenie. At that time there were no nursing degrees or honours awarded; at the end of her training Queenie would have received the hospital certificate. She was released by the Committee at the end of training on account of ill health. 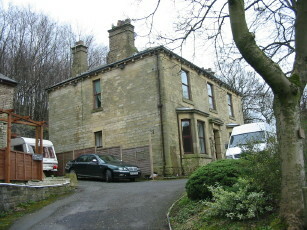 Lilian and Hector MacDonald moved to Stoneley House, Lees Road, Mossley, Lancashire. This became Queenie's home address, even when she was in London, as she gave this address when she married and spent the summer on 1914 there. After receiving her training at St. Mary’s Hospital and, during the period up to the Spring of 1914, Queenie was managing a nursing home in London but retuned to Mossley for the summer. She played with the Saddleworth tennis team in all their matches during the summer, and was most successful. Along with Mr. H. B. Nuttall she won the club tournament. The local newspaper said "Her charming manner has made her a great favourite at the tennis club". During this time, Queenie volunteered for service in the Red Cross League, if war broke out. She later received a telegram asking if she was still willing to join and go to France or Belgium if necessary. Replying in the affirmative, she received another wire instructing her to go to London at once. She left Manchester for London on the 6.15 train. Queenie was the first Army nurse to go to the front from Mossley. For several months she was at the Royal Victoria Hospital, Folkestone, and twice went across the Channel for wounded soldiers before February 1915, when she took a few days leave to be a bridesmaid at her sister Winifred's wedding. She was later sent to one of the hospitals in France. On the 11th October 1915 she married Walter Wrigley Broadbent in St George's Parish Church, Mossley. He was living at Well-i-hole, Greenfield, Lancashire at the time. Walter was born at Well-i-hole, Saddleworth, Yorkshire in Apr-Jun 1882 (9a 254), the son of Foreman Wool Sorter; Frederic and Amelia Broadbent. He was the youngest of six children, the others being; Ellen, Woollen Splicer (1866); Deborah, Woollen Splicer (1867); Herbert Woollen Bobbin Weigher (1869); Sarah Alice, Woollen Splicer (Dec 1878 9a 273 ); and Jane Amelia, (1881). Frederic had died prior to 1915. Walter and Queenie had two children. 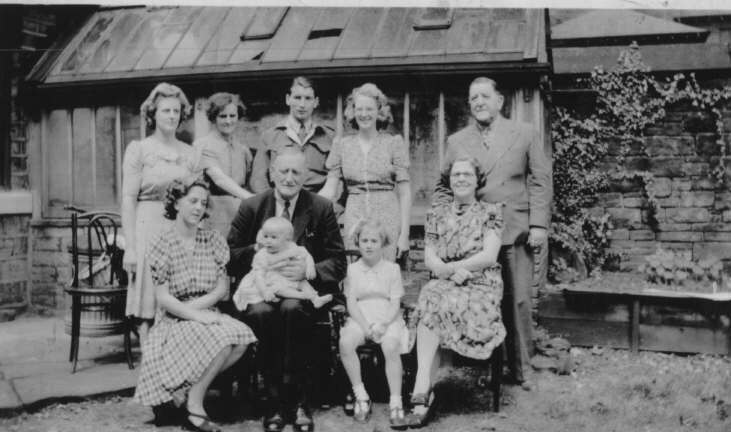 · Margaret York Broadbent, born; 4th September 1916 at Well-i-hole, Greenfield, Lancashire. · Sheila Macgregor Broadbent, born on the 22nd October 1922 at Well-i-hole, Greenfield, Lancashire. Walter Broadbent was a commercial Clerk at the time of his marriage and the birth of Margaret, by the time Sheila was born he was a Commercial Traveller selling Textiles. Queenie enjoyed riding and lived at Birch Nook, opposite to Friezland Church, which is shown below. A local farmer who remembered her said that she felt her place in society very strongly. Sheila Broadbent is still alive and has two children.